Michelle Obama Brought Out President Obama On Washington, D.C., Book Tour Stop—And It Was Everything! ESSENCE magazine was in the building for the Washington, D.C., stop of the iconic book tour. 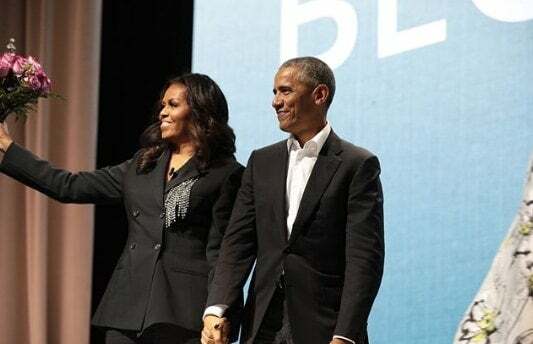 Former First Lady Michelle Obama drew thousands of fans while continuing her 10-city national book tour in Washington, D.C. on Saturday night, a lively event with candid talk, music, video clips and even a surprise guest: Former President Barack Obama. Released on Tuesday, officials at Crown Publishing (part of Penguin Random House) said the memoir has already sold nearly 800,000 copies. “You know when Jay-Z comes out during a Beyonce concert?” The former president quipped as the audience laughed.“`Crazy in Love’ –it’s the same thing” he joked. 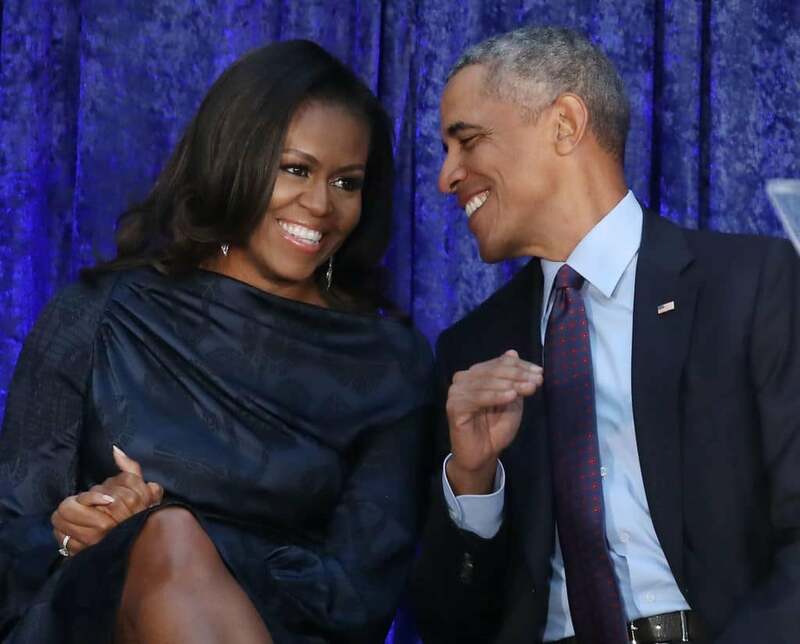 Barack Obama went on to lavishly praise his wife, noting that he knew she was “one of a kind” when they first met decades ago at a Chicago law firm. He was a Harvard Law student and summer associate, and the then-Michelle Robinson, a Harvard Law graduate, was his mentor. “She’s really tall. And most of it was legs,” he said, his tone mischievous. Eventually, she relented and the rest, as they say, is history—both for them and America. When Barack Obama was elected the nation’s first Black president in 2008, the couple, and their daughters Malia and Sasha, became the first African American family in the White House. The banter about love and marriage was one of many revelations during a wide-ranging chat about career, being in the public spotlight and a painful miscarriage she suffered before eventually conceiving their two daughters via in-vitro fertilization. The women smiled at each other, seeming to marvel at the incredible journey that has unfolded. Attendees heard Mrs. Obama’s honest reflections on the experiences and events, both public and private, that have shaped her. Her mother, Marian Robinson, older brother Craig, and two daughters all appeared in video interviews, speaking of her strengths. Obama, 54, spoke of her loving childhood in a modest community on the South Side of Chicago, to her years feeling uncertain she could fit in at Princeton and then Harvard. She spoke of balancing the demands of motherhood and work, where she felt disconnected from the community at a large law firm before eventually moving into more fulfilling roles. And of course, she recounted her years spent at the most famous address in the world. Obama said she learned early on to be honest, true to herself and not let others shape her narrative. 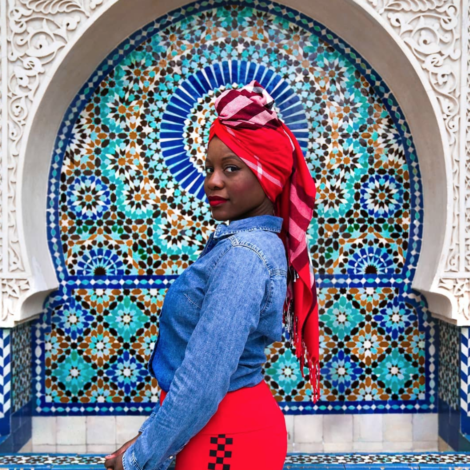 “I learned the power of controlling my story and my voice,” she told the audience. Along the way, she established herself as a powerful advocate for women and girls in the U.S. and around the world. She says sharing the life lessons learned and inspiring people to become the very best version of themselves is why she wrote the book. “I mean there’s so many times when I just want him — like I know all of you — to just curse them out,” she said, garnering hearty applause. But her husband always took the high road, she said. “The president isn’t the president for his own ego. The president is the president for the entire country,” said Obama, who never mentioned Donald Trump by name. In the book, she derides him for stirring the “birther” controversy about her husband’s birthplace and faith. The book tour, produced by Live Nation, kicked off in Obama’s hometown of Chicago this week, with mogul Oprah Winfrey moderating the conversation at the United Center. 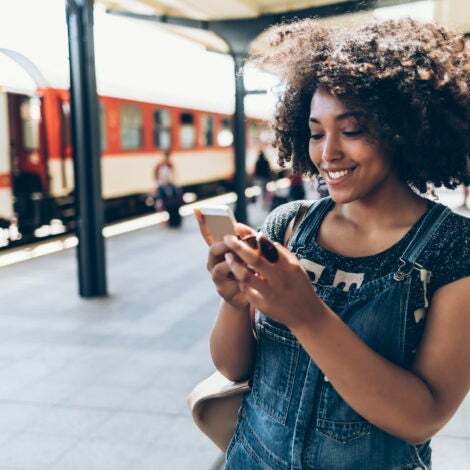 Other tour stops will include Brooklyn, Detroit, Denver, San Jose, and Dallas; those dates will be moderated by personalities such as Michele Norris, Sarah Jessica Parker, and Reese Witherspoon. “One of the most remarkable stories I have ever witnessed is the becoming of Michelle Obama,” Winfrey said in her introduction. Those who attended the D.C. event agreed, snapping selfies and purchasing T-shirts, books, and posters. Charmaine Hicks, a Virginia resident, brought her daughter to the event. “It’s an honor to be in the presence of Michelle Obama,” she said.